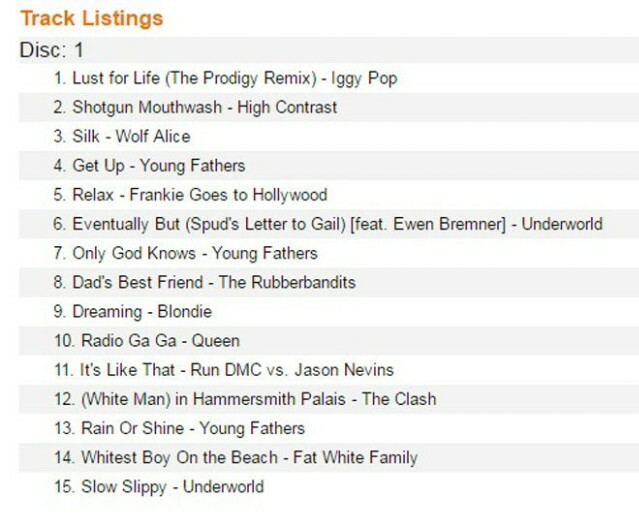 The tracklist for T2: Trainspotting’s soundtrack has surfaced online, seemingly by accident. 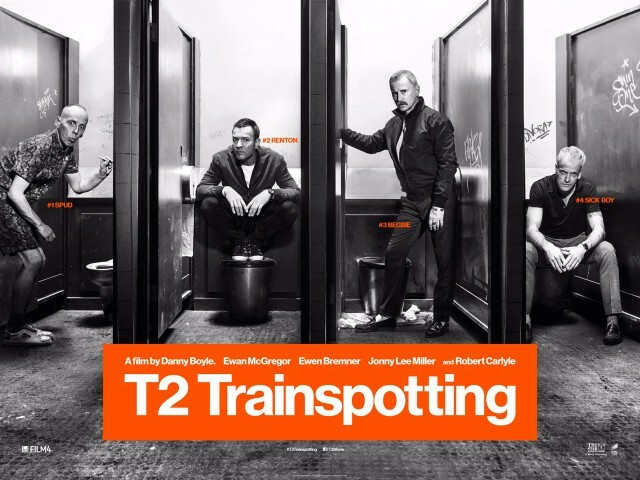 The OST for the cult classic sequel was listed on Amazon with the same 1/27 release date as the film and was taken down shortly after, but a tweet from Trainspotting author Irvine Welsh seems to corroborate its authenticity. The sequel’s OST features several artists who contributed to the original like Iggy Pop and Underworld, but also boasts new additions like Young Fathers, Fat White Family, and Wolf Alice. 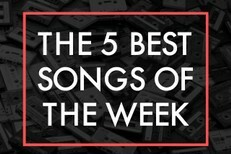 Frankie Goes To Hollywood’s “Relax,” Blondie’s “Dreaming,” and Queen’s “Radio Ga Ga” are also listed, along with a remix of Iggy Pop’s “Lust For Life” by the Prodigy and a new track from Underworld called “Slow Slippy” which is presumably an update of “Born Slippy” from the first film’s soundtrack. A screenshot of the tracklist is below. Last November, Welsh hinted at plans for a Trainspotting TV series involving the same four surviving characters featured in the forthcoming sequel. T2: Trainspotting is out 1/27, and apparently the soundtrack is as well.